Stephanie was born in Germany but raised in 100 Mile House, British Columbia and attended Peter Skene Ogden Secondary. Following her undergraduate studies at the University of Victoria, she attended law school in the United Kingdom at The City Law School, City University London. After her legal education, Stephanie returned to 100 Mile House and successfully completed the National Committee of Accreditation’s challenge examinations in order to obtain a Certificate of Qualification, necessary for membership to Canadian Law Societies. 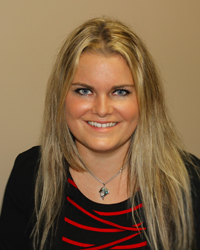 Stephanie is currently interested in obtaining knowledge and experience in all areas of the law.